How many stay there for you when darkness embraces your life? Not many, right. So it therefore becomes a responsibility on your part to make those wise persons feel how honored you were by their mere coming. Don’t let this opportunity go in haze. 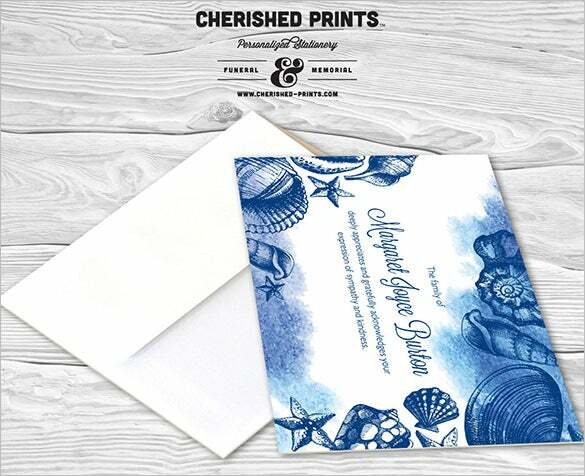 These thank you card templates are all that will help you get your job done. 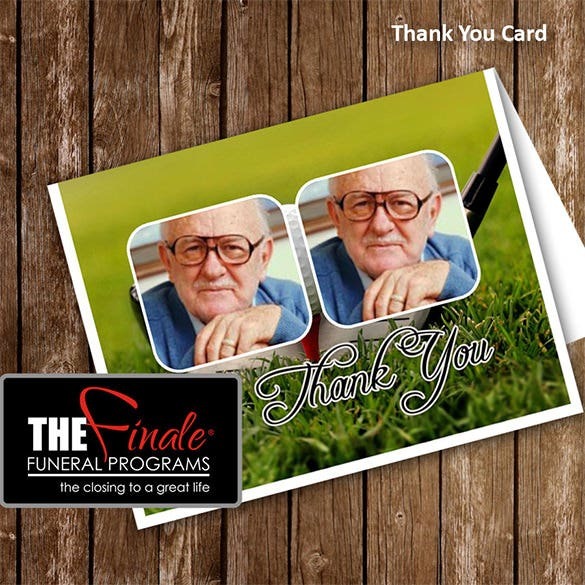 For sending funeral thank you notes to thank the people who came and supported you and your family during your Grandfather’s funeral then, you can download this grandfather funeral thank you card template, customize it with your your text and print it. 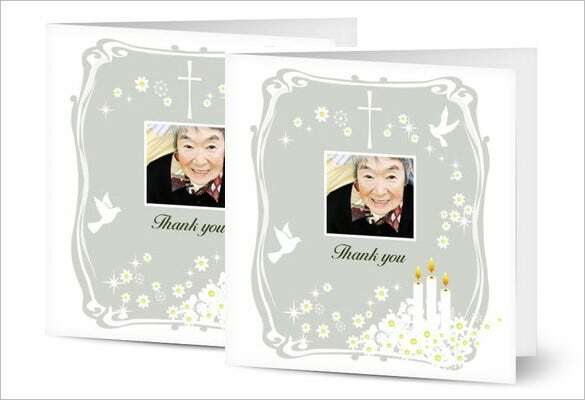 You can make handmade memorial thank you cards for the people who attended your Grandfather’s funeral held last month. 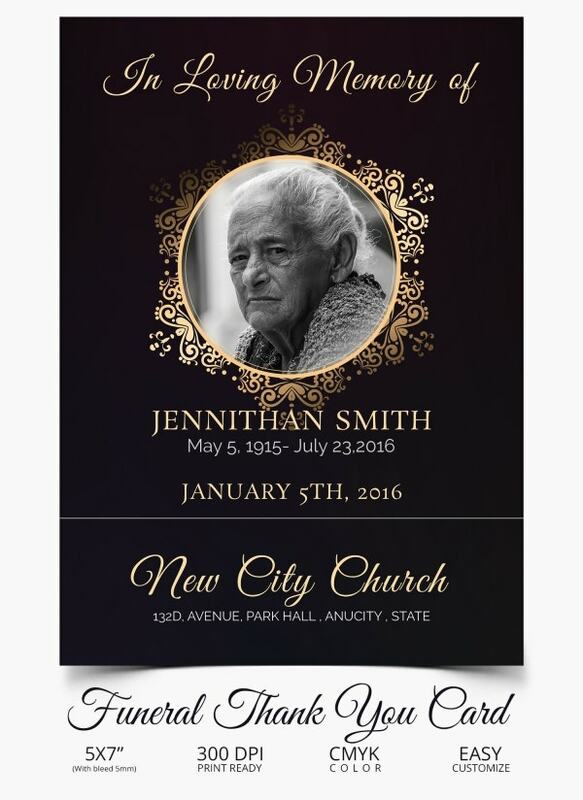 Download fully customizable Golden memorial thank you card template, edit the text portion, select colors and print it out for sending. 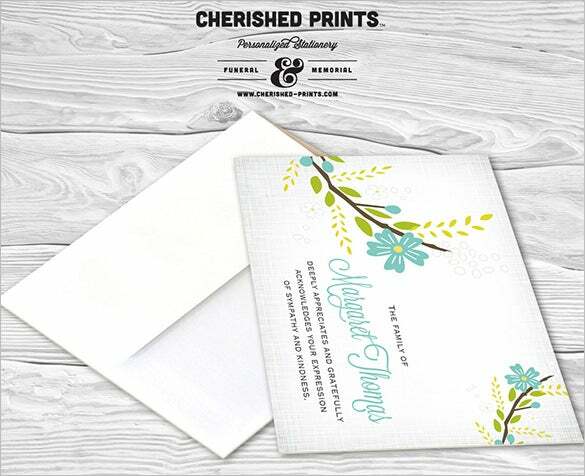 This template in floral thank you card can be surely downloaded and printed to send all the people a note appreciation for their presence in your grandfather’s funeral. 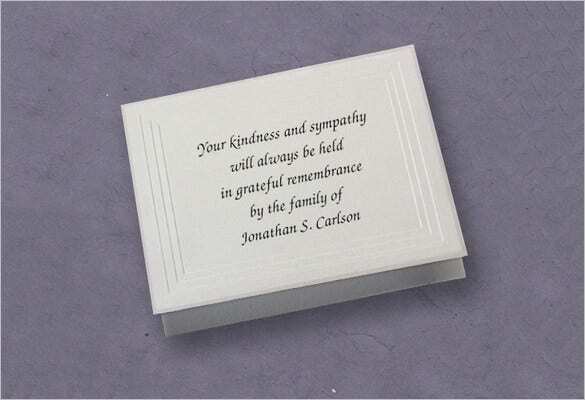 Customize with the wording for funeral thank you card, change colors if necessary and print in good paper. 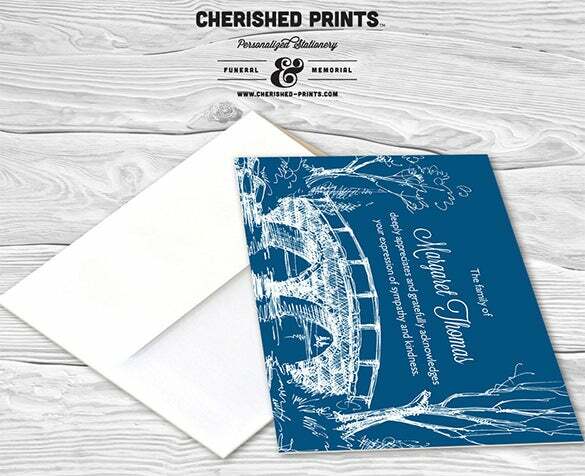 If you are interested in getting personalized funeral thank you cards, then probably your search would end here. 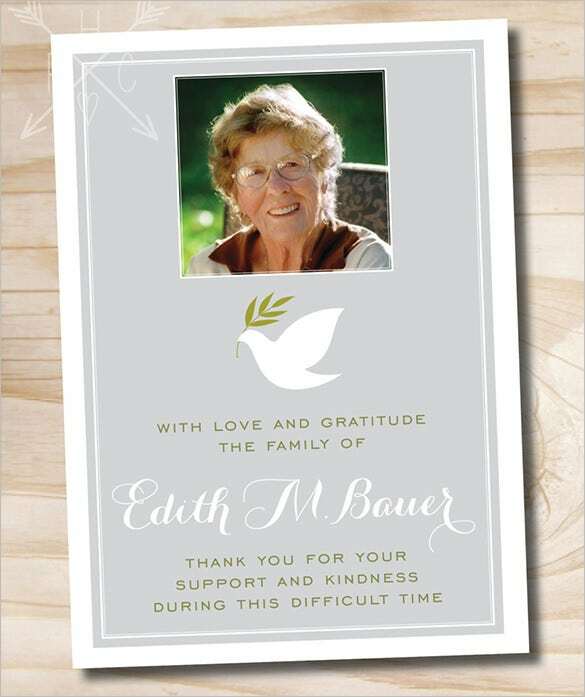 This high quality memory funeral thank you card template is apt to be sent to everyone who came all along for your Grandmother’s funeral. 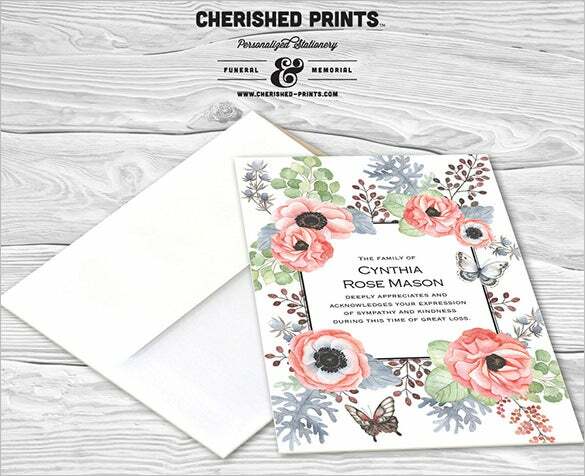 In beautiful floral design, this floral memory thank you card template should be downloaded by you if you want to thank each of the people present at your Grandmother’s funeral held 2 month back. 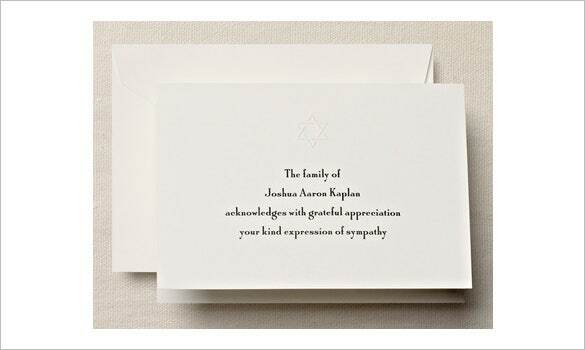 Customize and add your funeral thank you speech and get it printed. 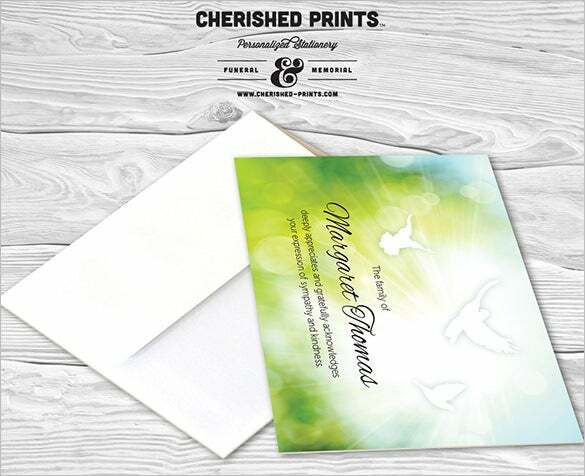 If you are wondering what to write in funeral thank you cards, then you should definitely download this 2 side funeral thank you card template. 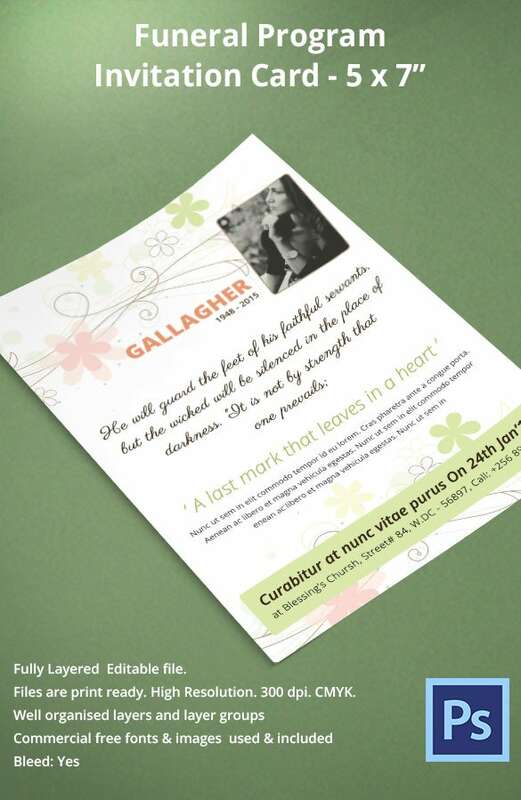 Just edit the text part with your details and get this high resolution template printed in good quality paper. 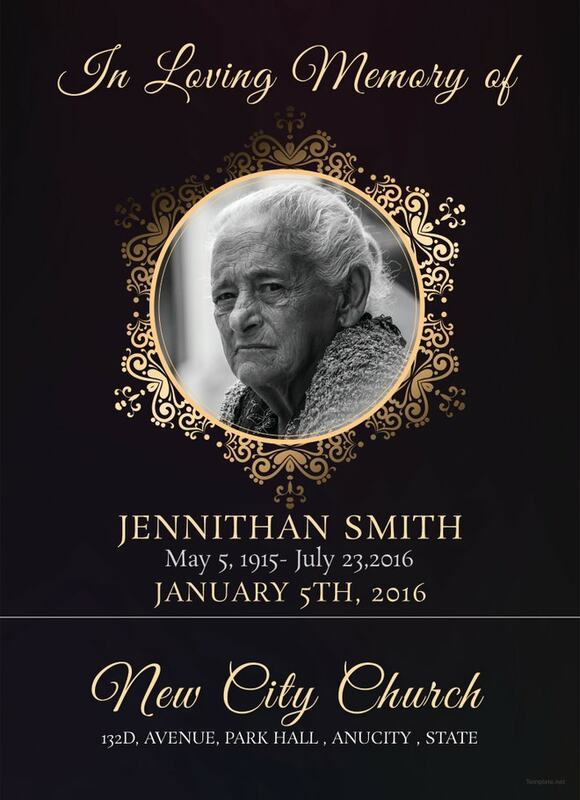 This template has been designed as an invitation card for funeral program. 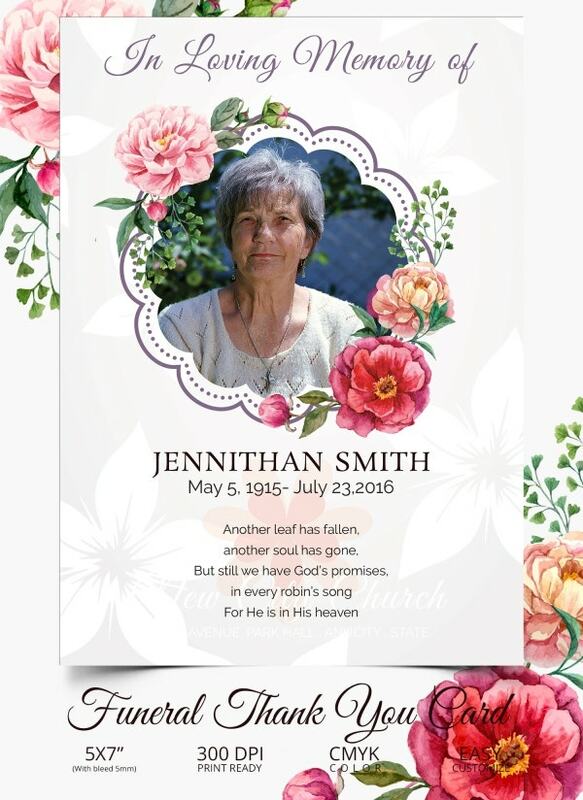 If any demise of family members or friends happen, you can download this template, customize with your details and send it to people who are really close to the deceased person and you. 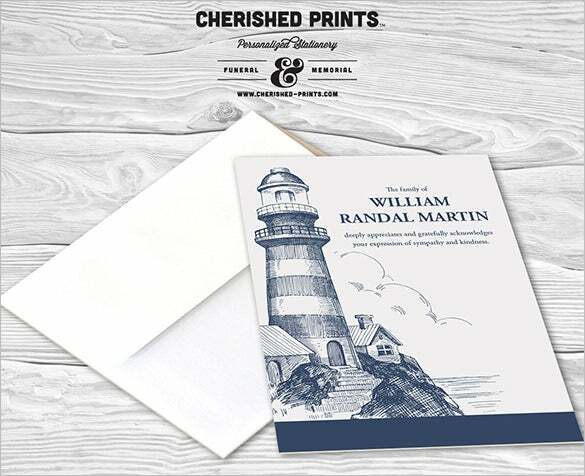 This template with the design of a lighthouse for funeral thank you note can be very useful if you want to thank your friends and relatives, who were there beside you when your Grandfather’s funeral was held. Customize the text part and get it printed. People who stood by you and showed their sympathy when you lost your beloved family member and came for the funeral deserves to be thanked. 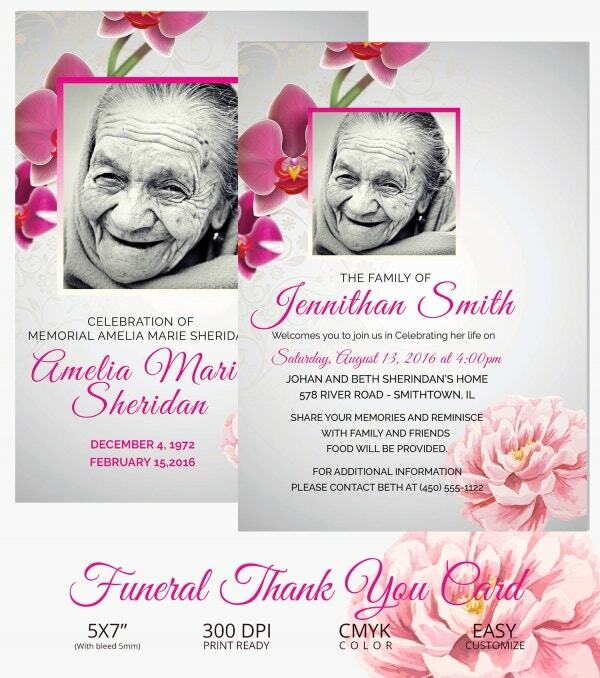 Download this funeral sympathy thank you card template and customize it. 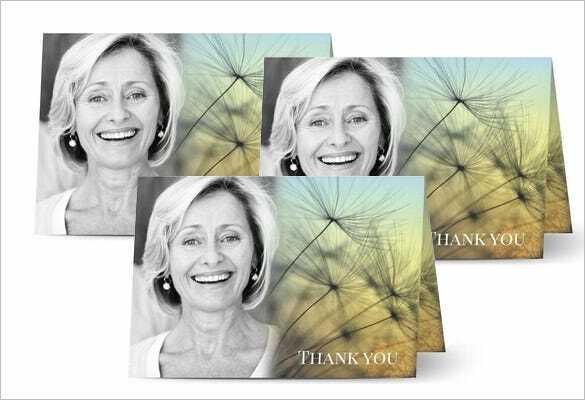 For sending the people personalised funeral thank you cards or just a simple thank you note, you can opt for this Memorial Funeral Thank you Note Card. Edit the text part and add your details and then get it printed. For thanking the people who gave 100% service in organising your Grandmother’s funeral, you should send them a thank you note. 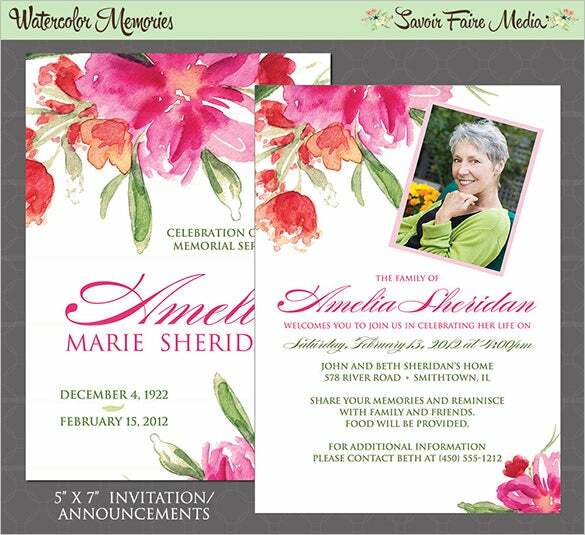 Download this funeral thank you card and personalize it with your message and print it in preferred paper for sending. 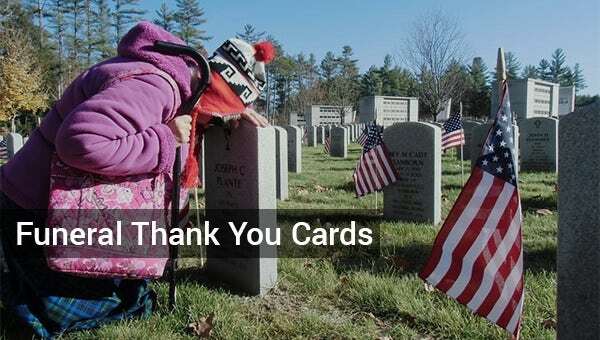 During your grandmother’s funeral held last month, people who came by for mourning with you deserves to receive a thank you note from your side. 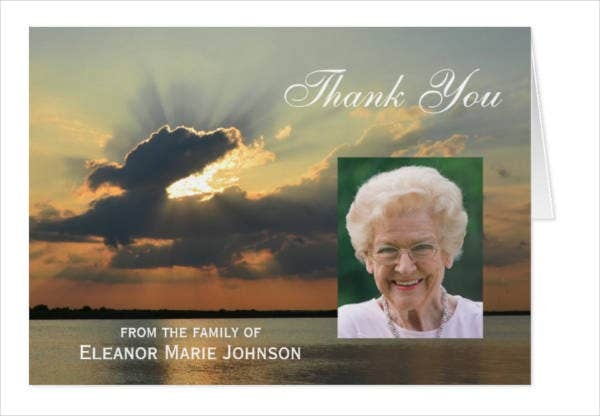 Download this funeral thank you note card template, totally print ready, just customize and print. 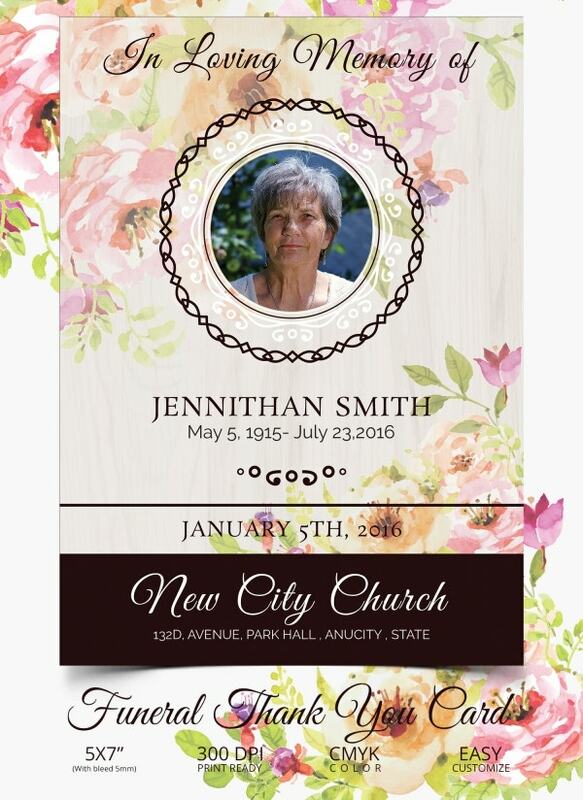 This template for funeral memorial thank you card template is for those people, who want to thank their family members and friends for being with them during their loved ones funeral. 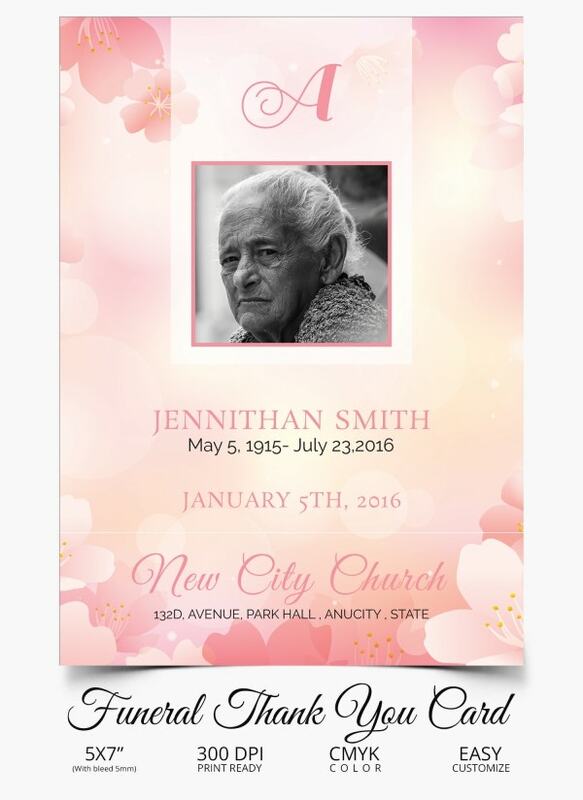 Totally customizable, download this template and personalize with your message and print. 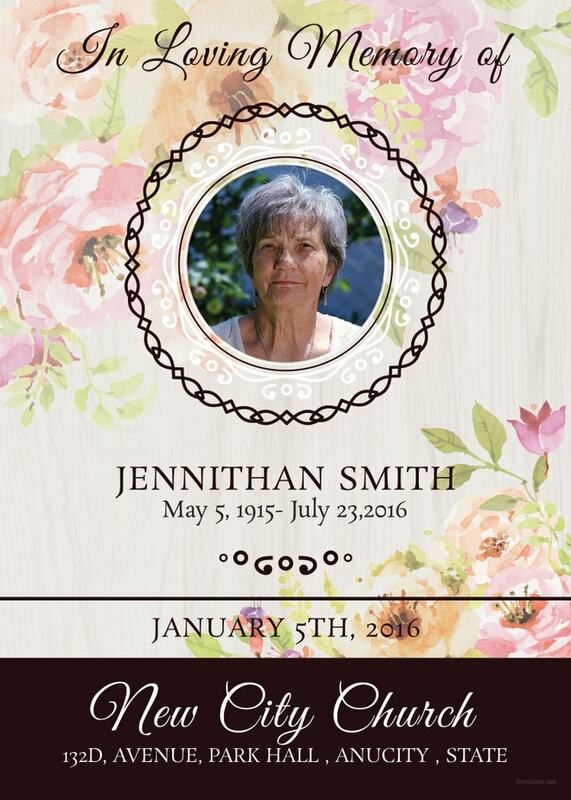 This template has been designed in a simple way as funeral thank you card. 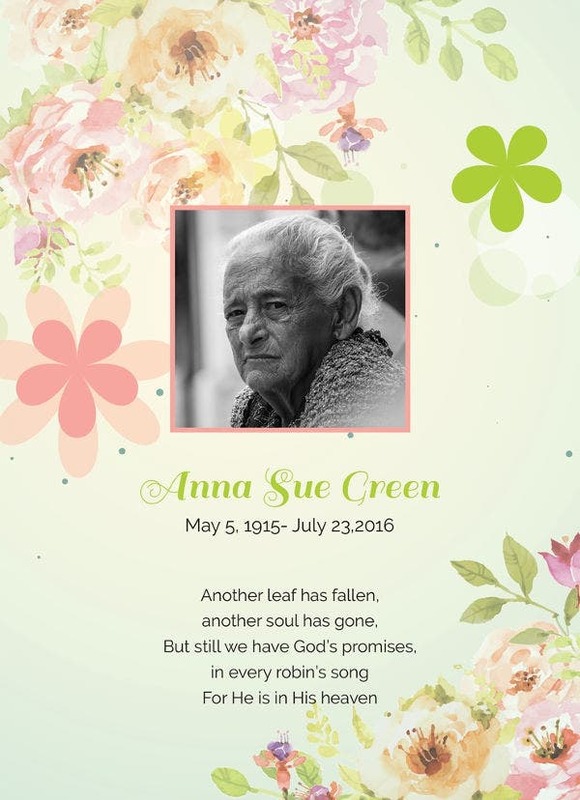 Download this template, if you want to thank those people who were with you in your moment of grief in your Grandmother’s funeral. Fully customizable, add your message and print. 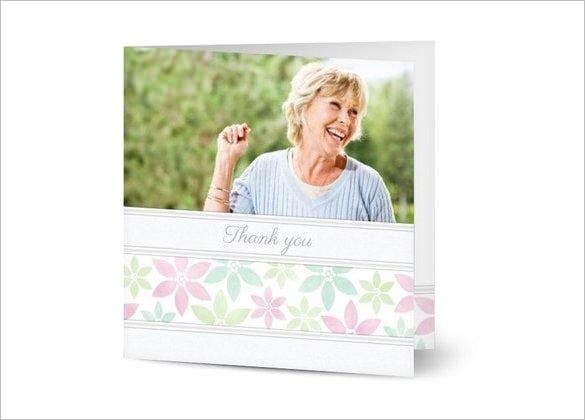 How to Write a Thank You Note After a Funeral – Easy Steps It is a huge loss to lose someone closely related to you but not everyone is lucky enough to get shoulders to rest on. 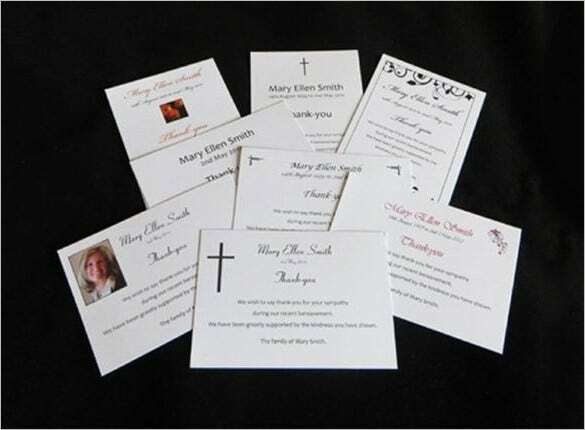 So those who provide you kindness, be courteous enough to regard them with these easy to access funeral thank you cards.